Fringed by white sands and turquoise waters, the islands have long been a favourite for honeymooners -- but visitors to Saint Martin, which is split between France and the Netherlands, will find an island struggling to return to its former paradise status. 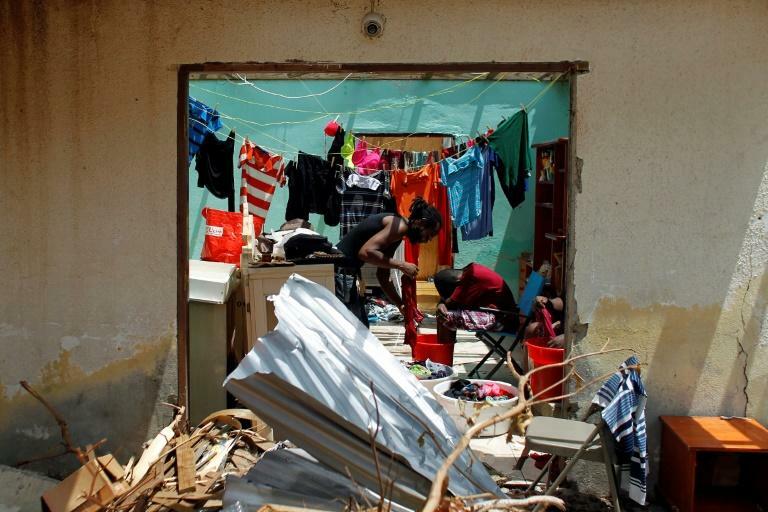 Some families on Saint Martin, where the hurricane killed 15 people before continuing on its deadly path towards Cuba and Florida, are still living with no more than tarpaulins over their roofs as a new storm season gets underway. Anet, a former florist, is now back at home with her three children after months of staying with friends -- but her sons' bedroom doesn't have a wall, offering an unwanted panorama of the lagoon. "There are loads of mosquitos and we have no water or electricity. We can't stay in this situation," she said. With tears rolling down her cheeks, she said she didn't have enough money to repair the house, where the family are mostly sheltering in the basement using battery-powered lamps. Irma, the most powerful storm ever to cross the Atlantic, killed 134 people in total, more than 60 of them in Florida. It dealt a major blow to the economy of hard-hit Saint Martin -- heavily dependent on tourism -- when it ripped across the island on September 6 last year. The scale of the damage, low insurance coverage rates and administrative complications from the island's French-Dutch division have slowed reconstruction work. 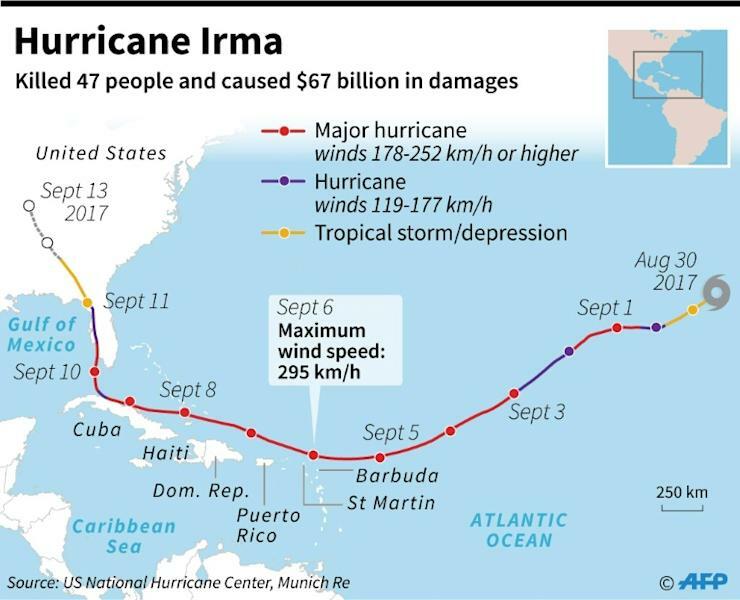 Across the two French territories of Saint Martin and Saint Barts, 95 percent of buildings were damaged and the estimated cost of the havoc wreaked by Irma has come in at three billion euros ($3.5 billion). Saint Barts was more fortunate: "The reconstruction work has basically been done, and the tourist season will be able to kick off in excellent conditions," said Philippe Gustin, the government official overseeing the recovery effort. "For Saint Martin, things are more complicated." The island remains dotted with half-built homes and roofs still covered in tarpaulins, corrugated sheets and canvas. On the Dutch side, known as Sint-Maarten, 550 million euros of reconstruction aid was promised -- but only 110 million euros have been paid out as anti-corruption checks have slowed the payouts. Just 40 percent of property owners on the French side were insured, and the island's sole deep water port is functioning at just 40 percent capacity, making it slow to bring in building materials. The island's Juliana international airport was also heavily damaged and will not be fully back up and running until late 2019 at the earliest. 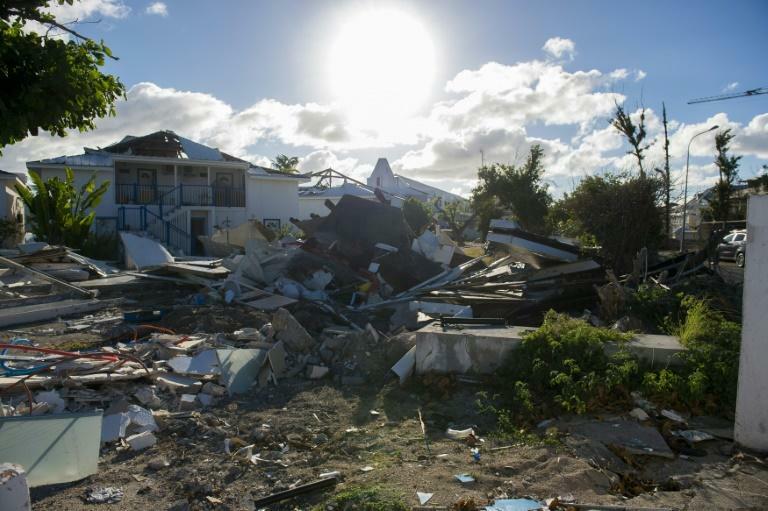 "Lots of people have had to wait for insurance payouts, and now some of them are hesitant to rebuild ahead of the new hurricane season," said Saint-Martin's top local official Daniel Gibbs. For children, this September marks a return to school after a year of heavy disruption to their education, and high school students will be going back to temporary buildings. In December, when the tourist season kicks off, only 800 rooms will be available -- half the number before the storm. Construction companies are swamped and lacking in qualified manpower, Gibbs said, while many hotels are putting off the rebuilding, taking the opportunity to modernise their facilities. Visitors who do come will find a tourism industry eager to restore its reputation for luxury in an idyllic setting. But despite an intensive campaign, wrecked cars remain by the roadsides, while rubble and other debris are still piled up everywhere. The island's waste treatment site at Grandes Cayes is overflowing. "There is only so much one rubbish dump can hold," said Gibbs, whose administration has poured more than 15 million euros into the clean-up operation. But volunteers have put a huge amount of work into tidying the island up, he noted. And two more mass clean-ups are planned for September and October, as Saint Martin gears up to welcome hordes of sun-seekers once again.